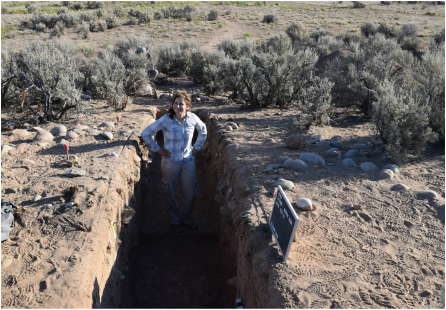 ​I am an archaeologist and a PhD candidate in the SUNY Binghamton University Department of Anthropology, where I work on the archaeology of Chaco Canyon and its outliers. My dissertation project involves archaeological testing at the Aztec North great house at Aztec Ruins National Monument. 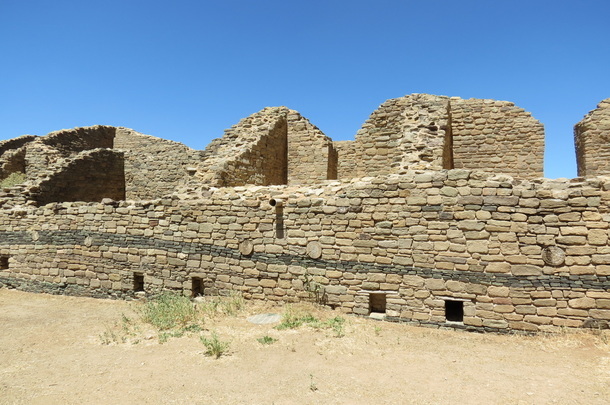 My research explores the chronology and construction of this previously unexcavated great house, as well as Aztec North's place within the cultural landscape of Aztec Ruins and the Chacoan world. I am a ceramic analyst, and my dissertation also relies heavily on architectural analysis. I use materiality theory, landscape archaeology and sociopolitical theory in my work on the Chacoan world. In addition to my southwestern research, I also work on New England archaeology. I got my start in archaeology at the University of Connecticut's field school on Mashantucket Pequot tribal land, and now I am a part-time research and collections associate at the Institute for American Indian Studies, a small museum in Connecticut. There, I am working on analyzing and interpreting legacy collections from the Lovers Leap site in New Milford, CT, which spans thousands of years of continuity in Native American use. Prior to becoming an archaeologist, I practiced law for nearly a decade. I continue to draw on that background, researching the legal and ethical issues surrounding NAGPRA, cultural heritage, decolonization of museums, and the repatriation of material culture and art. I am also a student member of the SAA Committee on Repatriation.